It's over! We did it! 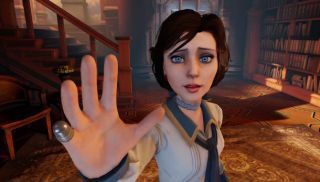 Bioshock Infinite's launch is imminent, and according to Tom's review , it's a game you should be seriously excited about. But forget that, because something even more momentous has happened: Irrational have released their launch trailer. And that means we've survived the near-endless visual onslaught of promotional Bioshock Infinite videos that have bombarded us since the game's announcement. There's been the one with the skyhook violence , the one where Elizabeth cuts loose , the one with the faux-documentary , and then the other one with the faux-documentary . *Deep breath* Then we had the one with Comstock and his City in the Sky , the one with the questionable pre-order bonuses , and the one with the entirety of the game's first five minutes . And that's just been the last few months. Now, sit back and enjoy Nico Vega's Fury Oh Fury backing one final cathartic burst of moving pictures cut straight from the game's belly. You've earned it.